BUFFALO – If William Carrier had stayed healthy late last season, the Sabres prospect likely would’ve earned his first trip to the NHL. But Carrier, an often overlooked winger, broke his hand in March. When this season started, the Sabres passed on him twice to recall Justin Bailey and Nick Baptiste. Carrier, meanwhile, kept impressing in the AHL, compiling three goals and four points in seven games. The Sabres decided Carrier, 21, deserved a chance, so they summoned him from the Rochester Americans earlier today. Bailey has been sent back. Wearing No. 48, the 6-foot-2, 212-pound Carrier skated on the left wing today with Baptiste and center Derek Grant. Carrier should debut Saturday in Ottawa. 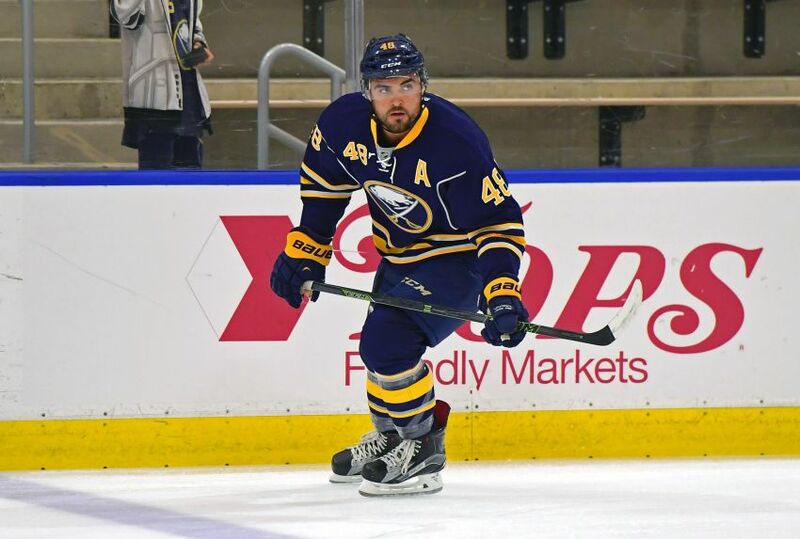 Why did the Sabres finally recall Carrier? Coach Dan Bylsma said his play demanded it. Amerks coach Dan Lambert also kept recommending him. Carrier enjoyed a strong development camp in July, but he wasn’t impressive during the preseason. “I don’t think Will had a great preseason,” Bylsma said. “I don’t think Will got to display the kind of game he can play, and it’s a challenge in the preseason when you get one or two opportunities to do it. Carrier, who had 13 goals and 30 points in 56 games last season, said he was in bed around midnight when the Sabres called. He then got up and phoned his family with the special news. In other news, Bylsma said winger Evander Kane, out since cracking four ribs Oct. 13, has been skating “quite hard, quite extensively” on his own the last four days. Kane needs to up his physicality in drills next.